Lumo Body Tech is an American company that manufactures and sells products to help improve how you stand, walk, or run. 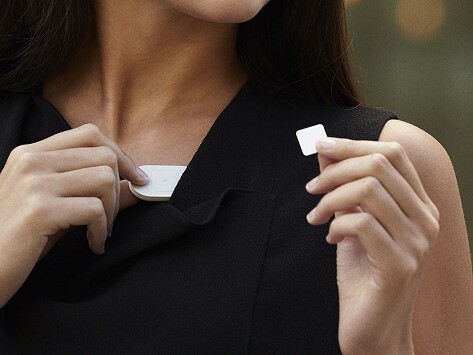 The revolutionary technology seamlessly connects to your phone so you can be more aware of your everyday movements and improve. With Big Apple Buddy’s personal shopping service, you can now buy direct from the Lumo Body Tech online store anytime, anywhere. 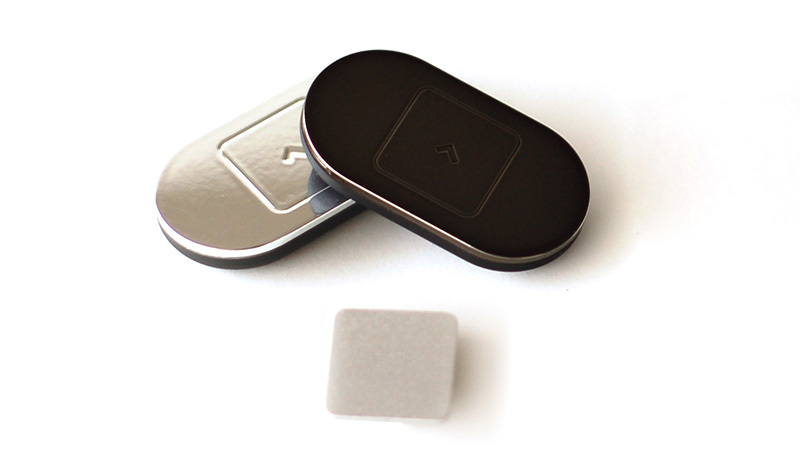 The Lumo Lift will change your posture for the better. You slouch, it vibrates - it's as simple as that! It's discreet so you can wear it with anything and its gentle vibration is perfect for the occasional reminder. In just two weeks, the device works its magic on your posture and your back will feel much better. Track your progress and goals on your phone with the Lumo app and other things like your daily steps and calories burned. Be the posture savior of your office! The Lumo Lift Office 10 Pack has enough for everyone. You can get the ultimate feedback from your calories to your daily steps and much more. The numerous Lumo Lifts invite a friendly competition in your work environment while correcting how you sit with its vibrational feedback. Don't worry about the battery - the devices last up to five days with just one charge! Looking for the ultimate work out clothes? The Lumo Run collection offers the best of both worlds with must-have running attire and the revolutionary Lumo sensor. For the ladies, the Women's Capris are the perfect bottom wear for any weather or exercise. 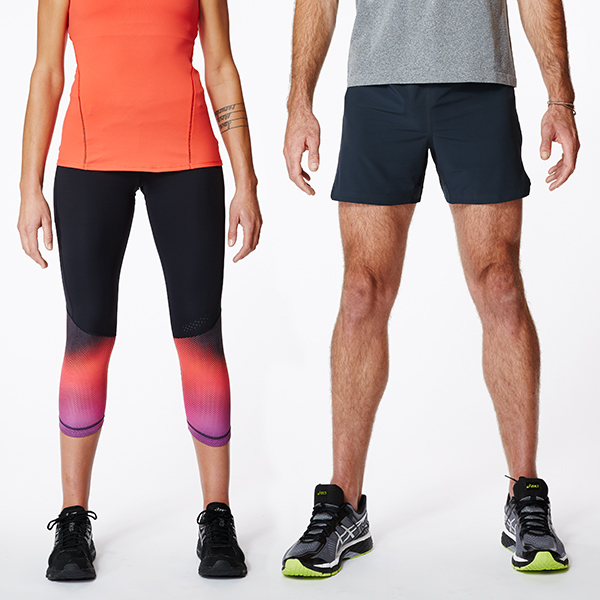 The Men's Shorts and sensor provide room and comfort for a better run. Both come with custom-designed pockets for the sensor to fit in so you can jump into action right away while the Lumo tracks your work out. Unfortunately, the USA Lumo Body Tech online store does not currently offer international shipping. However, Big Apple Buddy, your personal shopper, can help you buy products direct from the official USA Lumo Body Tech online store and ship them to your doorstep, no matter where you are in the world. We offer international shipping to over 110 countries including Australia, Austria, Azerbaijan, Bahrain, Belgium, British Virgin Islands, Brunei, Bulgaria, Canada, Chile, Costa Rica, Croatia, Czech Republic, Denmark, Estonia, Fiji, Finland, France, French Polynesia, Germany, Gibraltar, Greece, Greenland, Hong Kong, Hungary, Iceland, Indonesia, Ireland, Israel, Italy, Japan, Jordan, Kuwait, Latvia, Liechtenstein, Lithuania, Luxembourg, Macau, Malaysia, Maldives, Malta, Marshall Islands, Mauritius, Monaco, the Netherlands, Netherland Antilles, New Zealand, Norway, Oman, Poland, Qatar, Romania, San Marino, Saudi Arabia, Serbia and Montenegro, Seychelles, Singapore, Slovak Republic, Slovenia, Spain, South Africa, St. Lucia, Sweden, Switzerland, Taiwan, Thailand, the UAE, the UK, Vatican City, and Vietnam. If you would like to buy from the USA Lumo Body Tech online store, simply let us know which items you would like to order (by filling out the form below) and we’ll get back to you with a free international shipping quote within 24 hours!